Dr DeGiovanni trained at St Mary’s Hospital Medical School at Imperial College qualifying in 1999 with a distinction from the University of London. Her dermatology training brought her to the South Coast. During this time she did an attachment at St Johns’ Institute of Dermatology, London, working in the immunobullous clinic and laboratory. She was appointed as a consultant in Brighton in 2008. Dr DeGiovanni areas of expertise are managing skin lesions, both benign (moles warts skin tags, cysts, sun damage) and malignant (melanoma, squamous cell carcinoma and basal cell carcinoma also known as rodent ulcers) and skin surgery. She uses various techniques including medical therapy, cryotherapy, curettage, shave excision, intralesional steroid injections, photodynamic therapy, excision and flap and graft repairs. She treats head and neck lesions. She also treat patients with general skin rashes (dermatitis, eczema, psoriasis, acne, rosacea urticarial and rashes requiring diagnosis) and has expertise in managing blistering skin conditions. Dr DeGiovanni is now offering Botox and Facial fillers here at the Brighton Nuffield Health Hospital. Dr Degiovanni is on the British Association of Dermatologists register as a local champion for immunobullous and connective tissue disease. She represents Kent, Surrey and Sussex as dermatology research lead for the CLRN (comprehensive local research network) and represents the South Coast at the national Clinical Reference Group for specialist commissioning. She is a member of the UK dermatology clinical trials network prioritization panel. Walking the beautiful Sussex countryside with family and friends. Keen interest in photography and playing the piano. 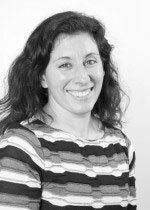 Dr Degiovanni is a dermatology CLRN research lead for Kent, Surrey and Sussex and a member of the UK dermatology clinical trials network prioritisation panel. She is research lead within her department at BSUH and principle investigator on five national non-commercial studies in psoriasis, melanoma and adverse drug reactions and one national commercial study in actinic keratosis. She conducted research investigating the link between psoriasis and bullous pemphigoid and anticoagulation in skin surgery. She presents at national and international meetings and mentors dermatology trainees. Dr Claudia Degiovanni does not hold a share or financial interest in this hospital, another Nuffield Health hospital or the company. Dr Claudia Degiovanni does not have a share or financial interest in equipment used at this hospital or another Nuffield Health hospital. Dr Claudia Degiovanni does not hold any paid advisory role(s) at this hospital or on behalf of Nuffield Health.